Despite a decrease in the number of building site injuries over the last decade, construction remains one of the UK’s most dangerous sectors to work in. According to the most recent survey conducted by the Health and Safety Executive (HSE) there were an estimated 74,000 incidents of work related ill health between 2011 and 2012. Tight regulations are in place, but it is up to site managers to enforce them. From a contractor’s or a subcontractor’s point of view, ensuring workers’ safety is the top priority, however, gaining visibility on who is complying with regulations is difficult. Providing high-visibility jackets and hardhats and installing fully-trained health and safety professionals onsite is only the first step in ensuring your site adheres to regulations. Provided equipment can go ignored and having someone onsite to monitor workers is the equivalent of sending a single referee to oversee multiple games where there are dozens of players on several different teams. What is needed is highly accurate data on who has the right equipment and qualifications for the job they are doing onsite. Up until recently, achieving this degree of visibility was impossible, but the advent of cloud computing and advances in biometrics have resulted in platforms that can track workers’ health and safety information across multiple sites and deliver the data to remote devices anywhere on the planet in real-time. These technologies could potentially revolutionise health and safety compliance on construction sites. 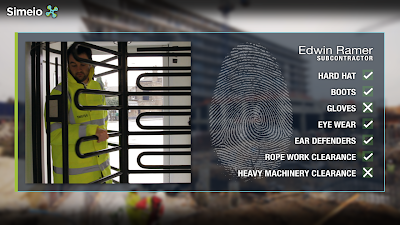 It is difficult to track the number of injuries that occur due to health and safety non-compliance onsite as no one wants to admit they have been ignoring rules and regulations. However, there is a wealth of anecdotal evidence to suggest non-compliance is commonplace and there is no shortage of horror stories about injuries occurring due to missing hardhats and incorrect footwear. Similarly, it is difficult to calculate the financial implications of health and safety non-compliance, although research suggests it can have a huge impact on a company’s bottom line. 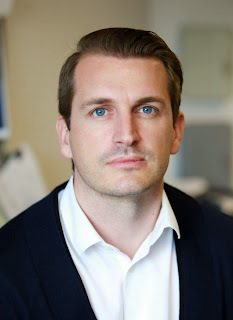 A 2010 study by Dr John Bernard Taylor concluded that non-compliance with health and safety standards can potentially reduce a construction company’s annual profits by 30 per cent. Another study, conducted by Elias Okede Ikpe, discovered that the benefits of accident prevention far outweighed the costs of accident prevention by a ratio approximately 3:1. Despite these statistics, many companies continue to ignore health and safety rules and regulations for a number of reasons. Research by the HSE identified a lack of awareness of legislative requirements, inadequate knowledge on how to comply with safety obligations, and poor management structures as key issues. The common link here is miscommunication. Large construction companies usually have the best intentions and stress that all legislation must be obeyed, they outline their own training requirements and issue all of the relevant protective equipment for their workers. Unfortunately, by the time these orders get to site level they are often not enforced and therefore become easy to ignore. Critically, data on non-compliance is not fed back up the management chain. However, this trend is set to change as new technologies give those overseeing construction projects virtual eyes and ears onsite. The principal technologies that have made this possible are biometrics and cloud computing. Biometric hardware and software make gathering data quick, simple and cost-effective. Cloud technology enables users to store data securely and access it from anywhere and on any device. When both technologies are employed in tandem users can build a clear picture of compliance on any number of sites, from a central location. One of the most basic, but frequently ignored rules of a construction site is that workers must wear the correct personal protective equipment (PPE). Now, biometrics can be implemented to get around this problem. 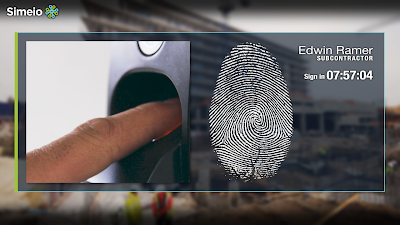 Once a biometric verification device (such as a finger print scanner) is installed onsite it can be programmed to request specific information from workers at certain times of the day. One option is to request confirmation that they have the correct equipment for the job they are undertaking. This has two effects: firstly, the worker is made aware of what they need for the job and must act accordingly, and secondly, once they have inputted the data it is then stored in the cloud and can be consulted if a dispute over correct equipment arises. Strategically placing the scanners at points of entry and exit make them hard to ignore and catch workers when they arrive or leave a site. The technology can also be installed on mobile handsets meaning the data can be collected by site managers going from worker to worker. Alternatively, a device can also ask workers to confirm they understand the rules and regulations of certain sites. If they are found to be breaking the rules, this data can prove they entered the site under false pretences. 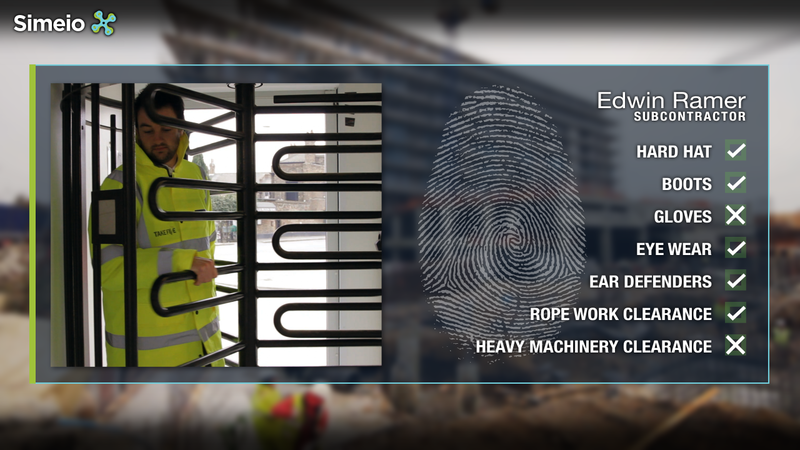 Using the same principal, biometric scanners can be used to complement The Construction Skills Certification Scheme (CSCS). The CSCS has been very successful in helping those employed on building sites prove they’re fully qualified. By asking for CSCS data upon initial registration, software can track expiry dates of these cards and notify users when they are about to become outdated. In a workplace where danger is constant, legal action is never far away. Current UK laws state that a worker can file for compensation up to three years after an accident takes place. In this time paper-based records can be destroyed, change hands or go missing. Storing data in the cloud offers a practical alternative. Not only is the data secure, but it can be accessed at a moment’s notice. The rapid rate that health and safety standards change can make it difficult for even the most diligent site manager to comply with every rule and regulation. Regular changes to a company’s health and safety guidelines, government legislation and the introduction of schemes such as CSCS can render a site’s health and safety policy irrelevant in a short period of time. The advantage of having the biometric/cloud infrastructure in place is that these changes can be broadcast across a network of sites in real-time. The most advanced solutions allow users to send notifications to an individual’s mobile phone for instant updates. Health and safety non-compliance is still somewhat of a taboo subject in the construction industry, with many understanding the dangers but few willing to take the blame when non-compliance takes place. When injuries occur onsite, this ambiguity can lead to confusion, and any subsequent legal action can be based on incorrect information. The current situation means that workers are more vulnerable than they should be and when they do get injured, their employers are not properly equipped to assess their claims or defend themselves against costly litigation. Accurate compliance data can save construction companies vast amounts of time and money and can ensure workers are safer. It may be impossible to stop accidents from occurring but now the technology exists to ensure your company is as prepared and protected as possible. Simeio’s cloud-based Site Roster Control Platform records biometric data in real time to give users a complete overview of human activity on construction projects in any industry whatever their size, duration or scope. The software collects accurate data autonomously on Time & Attendance, Health & Safety Compliance, Environmental Impact and Project Risk Management enabling firms to identify and review risks, make responsive, informed decisions and ensure costs, time and claims are kept to an absolute minimum. It can be integrated with existing hardware and software and installed on both mobile and fixed point devices. Simeio’s solutions are used by contractors, subcontractors, installers and Quantity Surveyors across the UK including Barratt Homes, Sir Robert McAlpine, KIER and ISG.